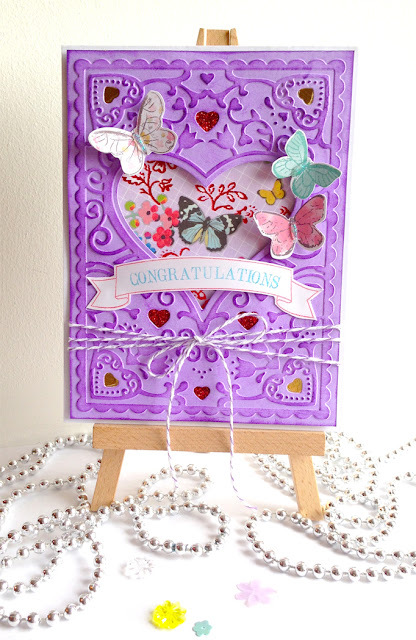 This quick post is to show a card I made with one of the new DoCrafts Cut and Embossing folders...These are great as they cut and emboss in one pass through your diecutting machine! I can see this would make a lovely picture frame too! Oooh I love it!! Have a lovely day crafty people!